In order to master effective CPR skills, you must attend a Cardiac First Response (CFR) course which is recognised by PHECC or the Irish Heart Foundation (IHF). To find a CFR course in your area please click here. 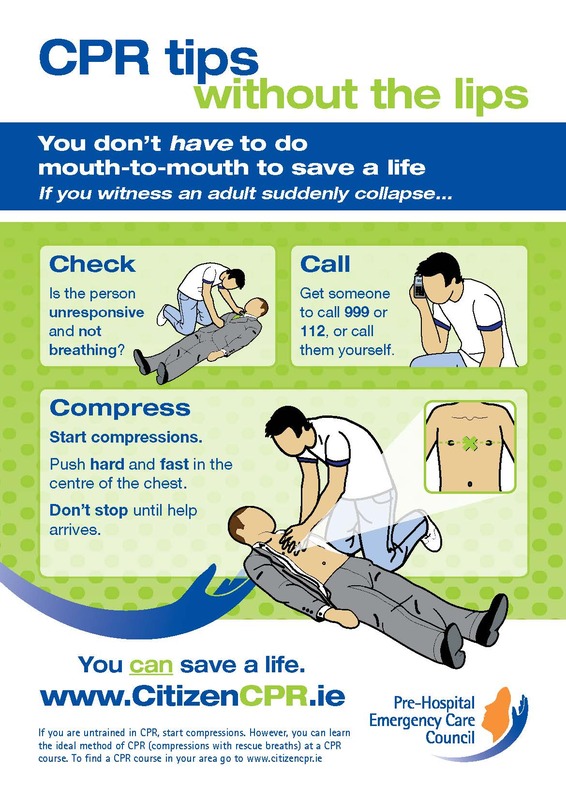 To read the most recent out-of-hospital cardiac arrest register (OHCAR) report please click here and see some key message from the report here.